Advance Recovery for OST to PST Converter Software is an apt program, which is diligently used for the rescue of OST emails. As there are different types of errors that nudge into fluency of these email files like a virus intrusion, sudden power surge, malware attack, spams, synchronization error, and so on. Theron, this immaculate solution is required that promisingly casts off corruptness and non usability of emails. The function of this converter software is to transform all the OST emails into the format of PST; thus following restoration. This software is expertly developed with skilled and advance technology, which initiates absolute and user-friendly conversion methodology. Impressively this software is compatible with: MS Exchange Server 2013 , 2010 , 2007 , 2003 , 2000, 5.5, 5.0. OST to PST conversion when MS Exchange Server goes down. Effectively converts: email, notes, messages, contacts, tasks, draft, journals, and appointments, etc. All the above highlighted features and functions are developed by innovate software developers. Apparently, this tool is affordable and assures 100 percent result without demanding much of attention. Never encourage a chance of overwriting, it is always better to download this tool and run it productively for immediate results. How To Convert MS Exchange OST files to MS outlook PST files ? Check out the video, which provides an overview of Advance Recovery's OST to PST email conversion software. All the steps and procedures are highlighted in the video that helps the user in progressing the conversion and restoration task. Flawless Recovery for OST to PST email conversion program works on two-pane structure. The left-pane has Mail, Calendar, Contacts, Tasks, Notes, and General tabs. You can click a tab to view the contents. All other substance related to an email, such as sender's and recipient's address, subject date, and content is viewed on the right-pane. This utility is an interactive platform that provides the outcome of complete recovery in 3 steps. Browse the file, Preview the converted data, and Save the converted data. Select the OST files that need to be converted; then, initiate the recovery process. 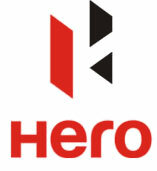 The Software provides prevue of recovered data in a view dialog box and proffers all the redeemable Mail folders in a tree-view on the left pane of the view dialog box. You can view all the mails and their data in the view dialog box. Why to use Preeminent Recovery software for OST to PST Email Conversion Software? 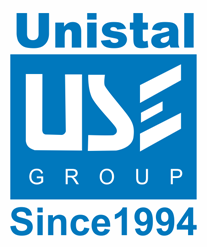 ©Unistal Systems Pvt. Ltd. 2003-2018 All Rights Reserved.